Sorry, this job expired on Oct 5, 2018. Below are other jobs that may be of interest to you. 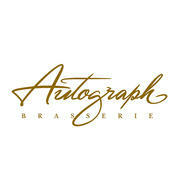 What makes Autograph Brasserie special and a great place to work?! The ideal runner candidate is positive, quick, responsible, hands-on, and a team player that has strong communication skills and can handle multiple tasks in a friendly manner with grace and composure.